DODUCO manufactures precision stamped parts incorporating electrical contact functions. 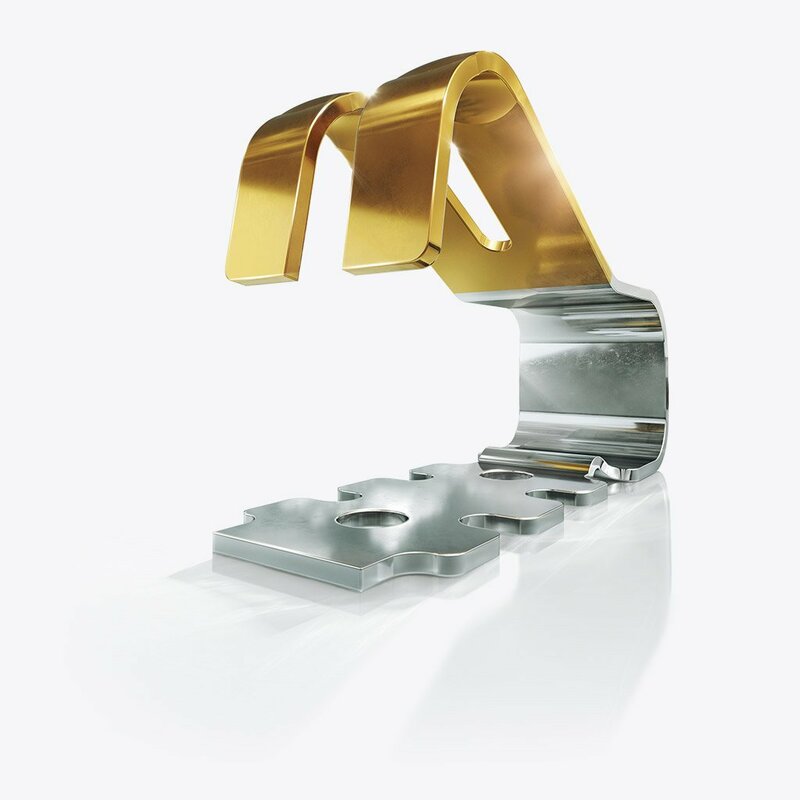 These can be welded, brazed, riveted, electroplated, produced from semi-finished contact materials, have bondable surfaces or can be mounted or pre-assembled. 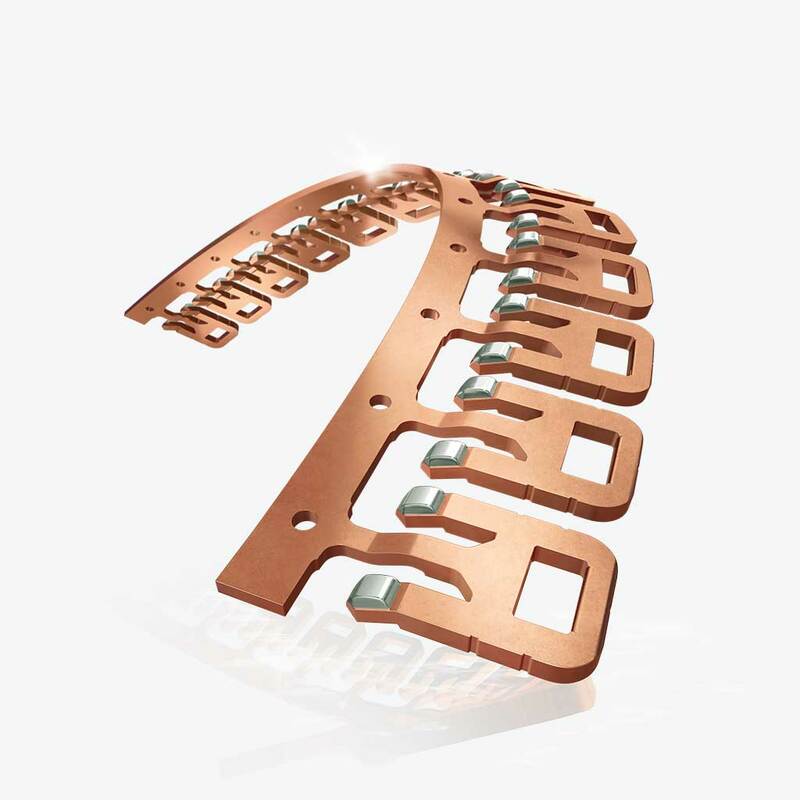 Depending on customer requirements we supply stampings as individual parts, in strip form, as combs or in blister package strips. DODUCO has also comprehensive competence and facilities to design and build high value tooling. By combining all the above technologies and adding for example thread forming into progressive dies we can supply highest level economic and complex solutions to our customers. Resistance welding is an economic joining process for contact materials to carrier substrates. Two basic processes are used in contact welding: individual contact pieces are welded onto solid or pre-stamped carrier strips or the stamped contact parts are manufactured from semi-finished strip with already pre-attached contact material. During welding of contact pieces the contact material is attached from either profiles (tapes), wire segments or in tip form. The maximum contact area size for high rate welding while maintaining close manufacturing tolerances is 5 x 5 mm². Depending on the application contact materials used are based on gold, palladium or silver. To utilize the most reliable and economical manufacturing process the contact materials usually have an easily weldable backing. This can be nickel, cupro-nickel or a thin brazing alloy coating of L-Ag15P for example. Besides this the backing side is frequently designed with a profile-rolled pattern in the form of weld rails or pyramidal. Pre-assembled- or pre-mounted-stamped parts consist of a minimum of two base materials. The attachment of the individual stamping grids is performed by riveting and coining in the stamping tool. In order to ensure a lasting high conductivity of the joint an additional welding step is often employed. Depending on the requirements for the pre-mounted parts different properties of the single components are combined. High electrical conductivity of one material, for example, is combined with the good elastic spring behavior of the second one. Stamping parts from step milled dual gage base materials can quite often not fulfill the diverging technical requirements. This is mostly the case if higher requirements on spring properties are specified. Pre-mounted stamped parts can also be used as functional parts for non-electrical applications. As a contact component however at least one of the base materials has either a electroplated functional coating or contact material is attached to one substrate material by cladding, welding or rivet-staking. Electroplating processes allow the selective deposition of very thin layers within tight manufacturing tolerances. in many applications. Since even thin layers have mostly a low porosity, these deposits serve also as protection against corrosion. The type of deposit, its chemical and physical properties as well as layer sequences and thickness are defined by the application’s mechanical and electrical requirements. Electroplated deposits consist mostly of pure gold, hard gold, silver, palladium-nickel, copper, nickel and nickel-phosphorus. Tin and tin-lead can be applied in strip form also by hot-dipping. Pre-stamped strips are selectively electro-plated using immersion, strip and spot-plating or by the process of brush-plating. Stamping combs or discrete stamped parts are coated completely or selectively by immersion electroplating or all-over in bulk by barrel plating. The use of contact rivets as well as the insertion of wire segments with subsequent coining into rivet configurations – wire staking – are mechanical contact attachment processes. Both methods have their own specific advantages. Using composite or trimetal contact rivets allows limiting the precious metal usage according to the requirements of the switching function. 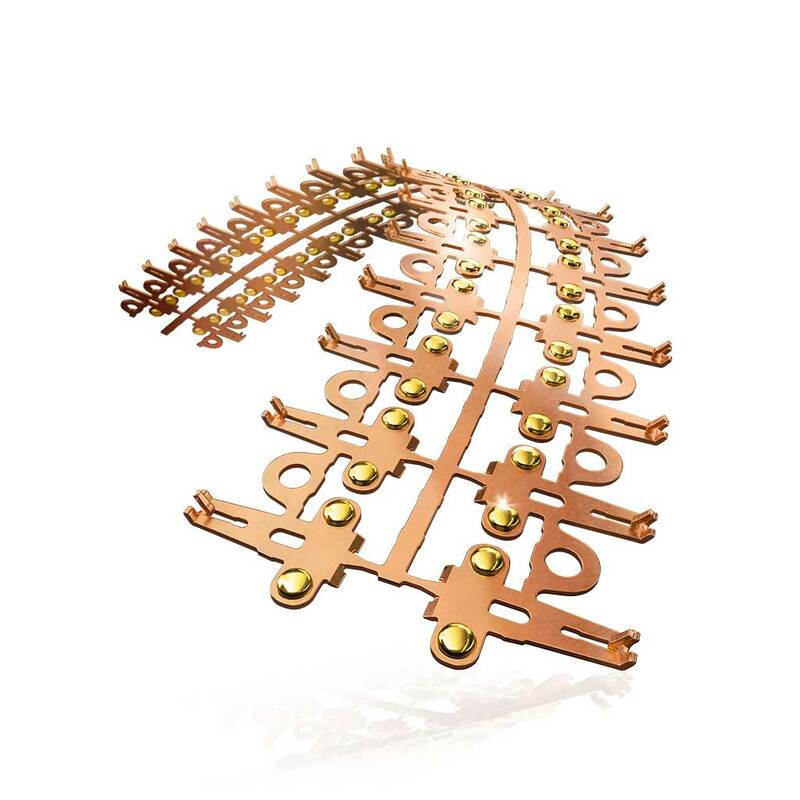 In wire staking the usage of precious metal is higher while on the other hand the attachment process can be run at significantly higher manufacturing speeds. example, to be used in hybrid electrical applications, i.e. for very low as well as higher electrical loads, contact rivets can additionally be electroplated with gold. Using gold electroplated solid or composite contact rivets is in this case the most advantageous process. 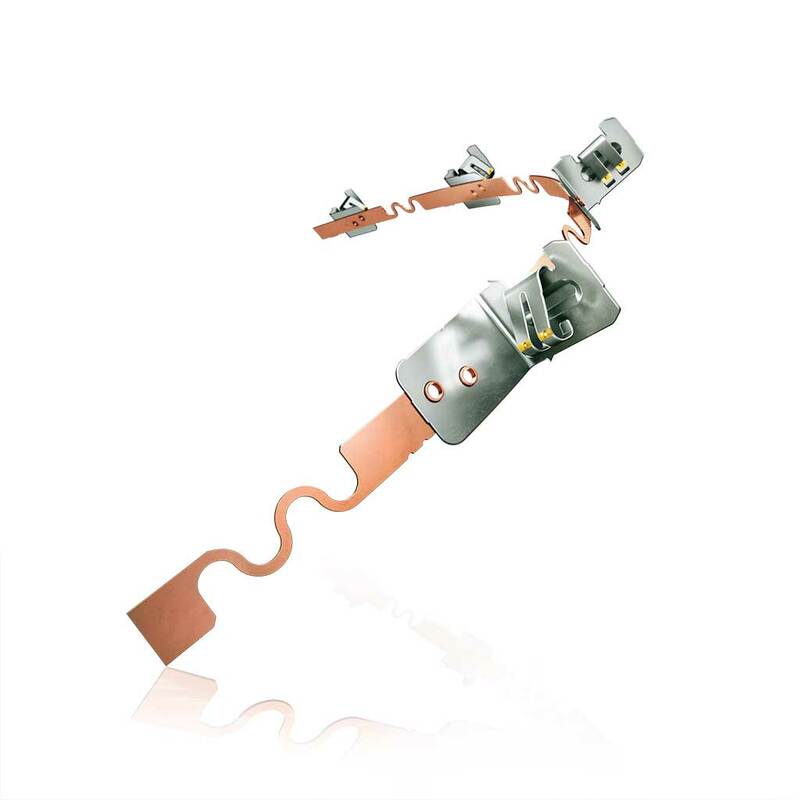 Our contact springs for the automated fitting of printed circuit boards come in blistertape. So the packaging is suitable for high-series manufacturing with off-the-shelf SMD pick-and place machines. DODUFLEX provides extremely high contact reliability through bifurcated contacts, AuCo-coating and overload protection. 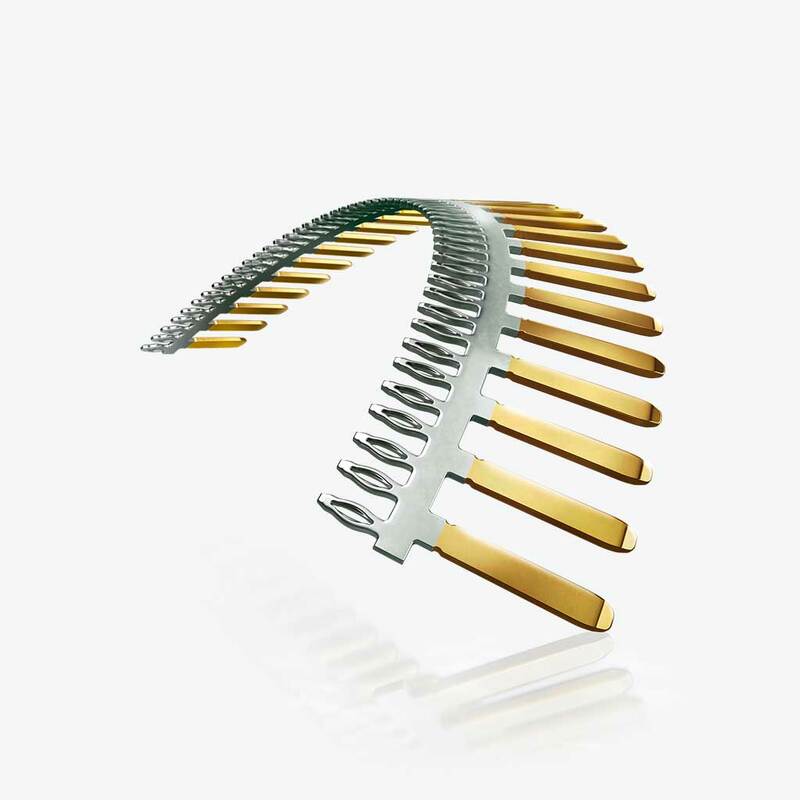 This contact spring is already in successful use in fields such as medical technology and white goods. It is available on short term without tool costs at prices based on our price list. are used as base carrier materials. Many contact applications require thicker precious metal layers. These cannot be applied to the substrates economically by electroplating processes. In addition contact materials with very specific physical and mechanical properties are often required. These materials from gold-palladium alloys or based on silver are made by either alloy melting or powder metallurgy. The combination of contact and base material is achieved by cladding processes such as cold roll-cladding or hot roll-bonding. DODUCO manufactures contact bimetals in strip form by brazing of flator shaped strips to carrier materials followed by profile rolling. These are the basis for customer specified contact parts with raised precious metal segments for highly demanding applications. The main advantage of seam-welded strip material for the production of contact stampings is the limited area of the weld zone. This results in softening of spring hard base materials only in the immediate weld effected area. The contact layers consist mainly of solid contact materials or composite contact profiles or weld tapes. 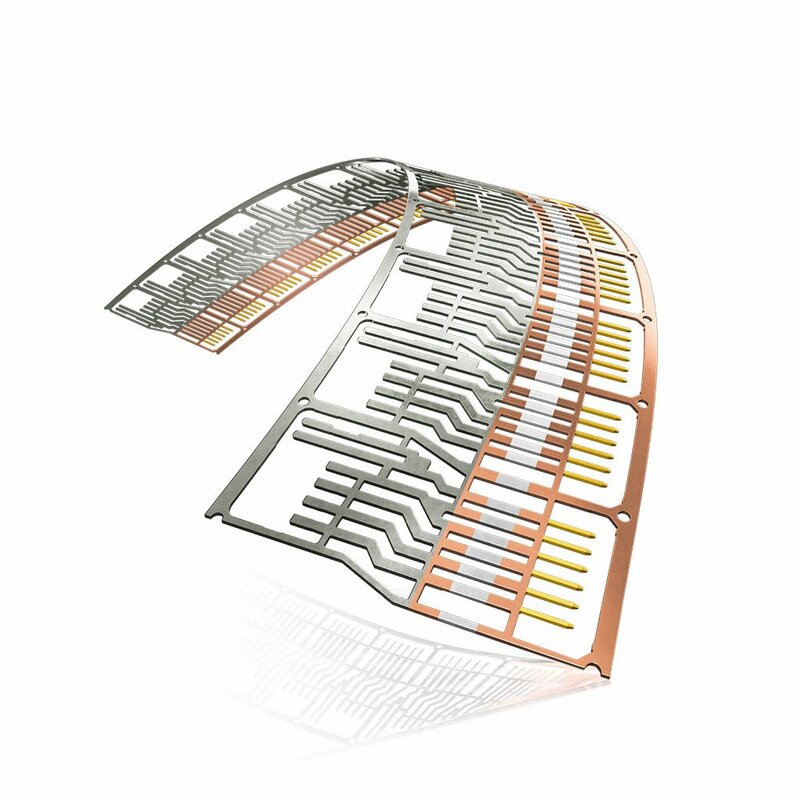 For reliable connections in hybrid frames and printed circuit boards DODUCO manufactures stamped parts with flexible insertion zones according to DIN EN 60352-5. The Elo-Pin ® was developed in following the latest know-how of insertion technology. Based on high elasticity it exhibits low insertion forces and high holding power. The stamped pins include the proven needle-eye design and precision formed zone edges resulting in a gastight connection without any shaving effects during the actual insertion process. These insertion zones have shown their superior function also for the high temperature engine room environment in automotive applications. Für die jeweiligen Kundenanwendungen ist die Zuverlässigkeit der durch Bonden hergestellten Verbindungsstellen über einen längeren Zeitraum und unter erschwerten Umweltbedingungen von entscheidender Bedeutung. For the design of our high performance stamping tools we use 3D CAD (Creo) and employ modular concepts. Depending on the requirements, cutting inserts are constructed of carbide or special tool steels. Our modern and well equipped tool shop supports advanced technological standards. We integrate into our progressive dies additional functions such as multiple thread cutting, multiple in-die rivet staking and also pre-mounting of stamped parts in strip form. The flawless operation of our dies is monitored and controlled through optical and structure-born sound sensors. The range of our high capacity stamping presses allows the use of strip thicknesses from as low as 0.03 mm (.0012”) to about 3.0 mm (.118”) and with a width of up to 180 mm (about 7.0”). Our maximum stamping speed range up to 1,800 strokes/min. 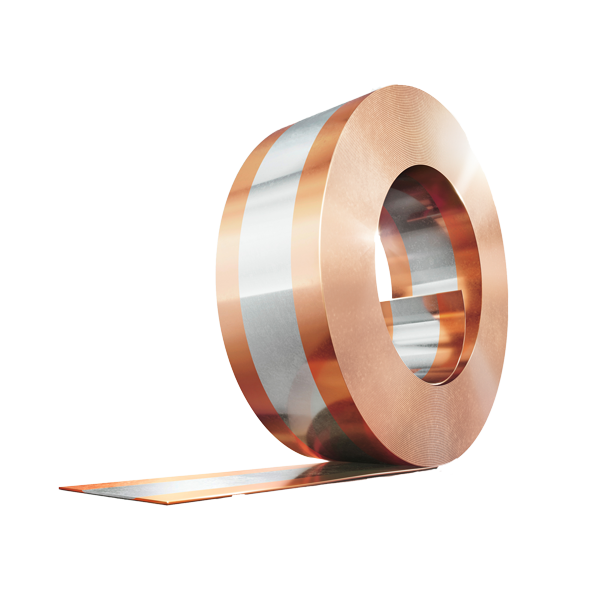 The carrier materials – usually Cu-based or stainless steel materials – are processed from “master coils” in reel-to-reel, or into combs or discrete stamping parts. To ensure the surface cleanliness of precision stamped parts we use vanishing oils for the tool lubrication or integrate cleaning and degreasing into the stamping operations.